When a rear window defroster is damaged beyond repair a Clear View defroster is a good alternative to expensive back glass replacement. The new Clear View defroster replacement can be connected to the vehicles existing defroster circuit using the defrosters power and ground connectors. 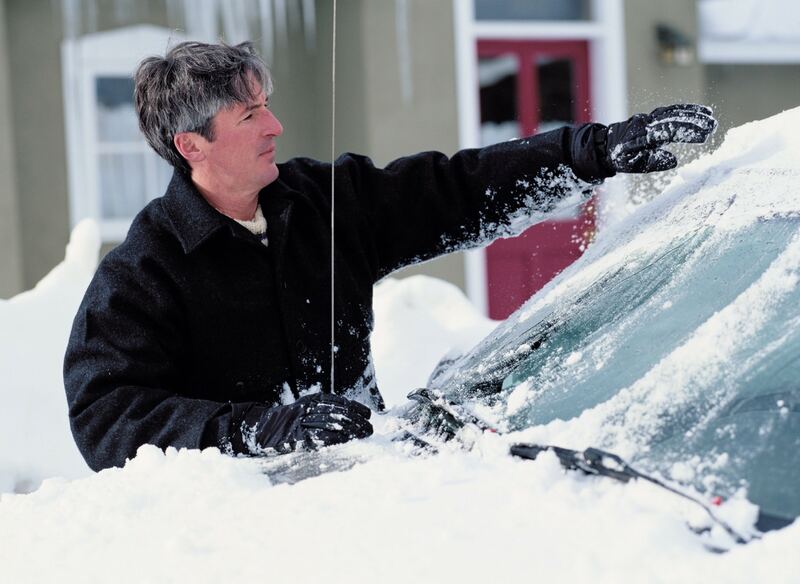 When replacing a defroster with a Clear View Stick Kit the connectors on the vehicle may not always match up with the tabs on the Clear View defroster. What’s Included : The adaptor includes two 14 AWG wires. The W45 is 6 feet in length and W46 is 10 inches in length. 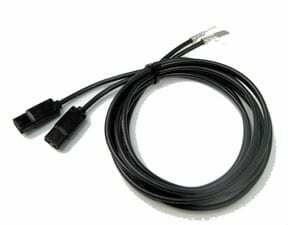 The ends are terminated with connectors and black covers compatible with the Clear View defroster tabs on one end and tabs compatible with the existing connectors already in the vehicle. Extra connectors are included to allow for shorting the wires as needed. The Tab Adaptor Kit makes Clear View defroster replacement a snap. Plug one end of the adaptor into the vehicles defroster connector and the other to the Clear View defroster connector. Extra connectors are included so that the wire harness can be cut for a custom fit. The wire harness extends power and ground wires to match up with the Clear View defroster tabs. 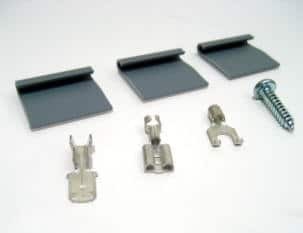 The kit’s two wire adaptors include spade terminals which plug into the vehicles defroster connectors and the tabs on the Clear View Kit. 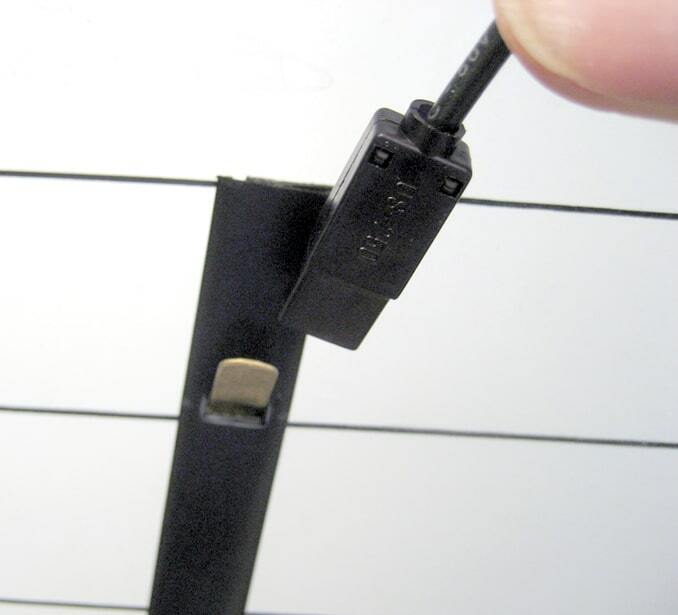 Wires can be trimmed to size using the extra terminations supplied with the kit. Extra wire can be concealed under the flashing along the edge of the window. 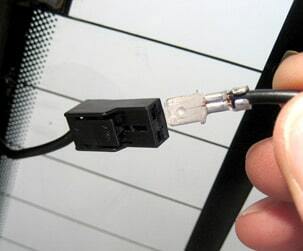 The connector on one end of the tab adaptor wire harness has a spade that fits the connector already on the vehicle as shown at right. This extends the wire harness to engage the new tab on the Clear View II defroster as shown below on right. The wire tie downs, extra connectors and mounting screw is included. 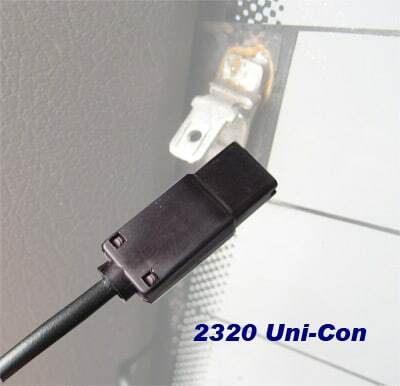 It is easy to attach defroster connectors to existing defroster wiring using common tools the Uni-Con connector. The connector installs in minutes and connects to all defroster tab makes and models. While an extra Uni-Con Defroster connector comes with every tab adaptor harness here is how it is installed to adjust wires for that perfect fit. First use needle nose pliers to connect the defroster connector to the wire. Next snap close the black plastic cover for a factory quality defroster connector connected to the lead wire coming from the car ready to plug into the defroster tab.